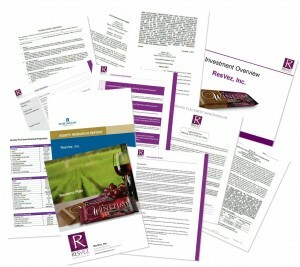 An investment package is a set of presentation materials and documents used to secure capitalization. The specific elements of each package depend on the needs of each client at their current stage of development. Most engagements include the development of a dynamic financial model. This results in establishing comprehensive details about your business that are then integrated in documents and presentation materials to support capitalization efforts and subsequent operational execution. Every investment package is created using an investment-quality approach. What this means is that the processes, details, preparations, and materials will be of uniformly high quality and substance such as is necessary to raise equity capital. Preparing to meet this high standard will ensure that regardless of the capitalization sources that are most ideal for your business, you will be ready to navigate the requirements for success. Many elements of an investment package for raising equity capital using a private placement memorandum are shown below. Click on the image to see more detail. Based on your situation, you may only need several of the following elements, or you may require most of them. After initial discussion, we will recommend only those that we believe are essential to your success at present. After completing and optimizing your dynamic financial model, we often prepare an Investment Brief that highlights key elements of your business and investment opportunity. This document contains your primary talking points for preliminary investor discussions. It is prepared in a way that helps you quickly and professionally distinguish those who are truly interested from those who are not. We often prepare and provide a convertible note along with the Investment Brief that enables you to start accepting capital from investors/lenders right away in the form of loans to the business which contain an equity conversion feature. There are other approaches that can be used in lieu of convertible notes, and we provide a draft of the appropriate document ready for your attorney’s review and finalization. In some cases, revenue participation is a better solution than a typical debt or equity approach. We provide a draft of this document that supports discussion with investors and provides a framework your attorney can review and finalize. Investors are unlikely to invest in your business if they don’t like you or don’t believe you can deliver solid results. Your ability to relate well to others and your personal credibility are critical elements of the capital raising process. 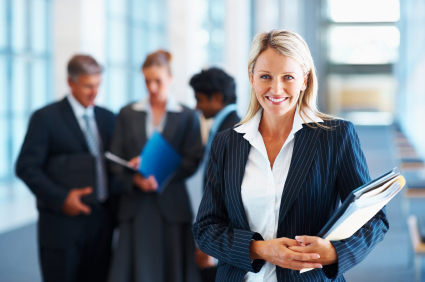 Your business plan will be prepared in a way that supports these critical objectives. This document is a one-page overview of key data and statistics that support the business plan, and aid the investor qualification process. When you meet with multiple investors at the same time, this PowerPoint presentation will be helpful in directing the presentation and discussion. The focus needs to be on what you are saying, rather than words on the screen. A well-done interactive presentation that is effectively delivered will support the demonstration of your credibility and likeability, in addition to describing your business and investment opportunity. While few equity investors will sign an NDA before reviewing your introductory materials, they typically will before commencing due diligence. We provide a confidentiality agreement to be executed before you show or discuss your detailed confidential information. We subcontract an independent and reputable business valuation firm to prepare a report that helps establish and substantiate the potential value of your business. The valuation metrics are based on your financial projections, ratios and metrics that are typical for your industry, comparable valuation data, risk factors, and more. The purpose of this document is to comply with the disclosure requirements of the Securities and Exchange Commission, as well as the regulatory agencies of any states where you raise capital. We specialize in drafting this document, but your attorney and tax advisor should review the draft and make any corrections they deem to be in your best interest. We provide a solid starting point, which can save you thousands of dollars on the preparation of this essential private equity capitalization document. This document accompanies the PPM and is the purchase contract for equity in your company. This form enables you to comply with securities laws pertaining to Accredited Investors. Accredited investors must meet certain criteria relative to net worth, income, financial sophistication, risk tolerance, etc. See how clients and investors responded to our work here. Contact us to find solutions to your capitalization needs.